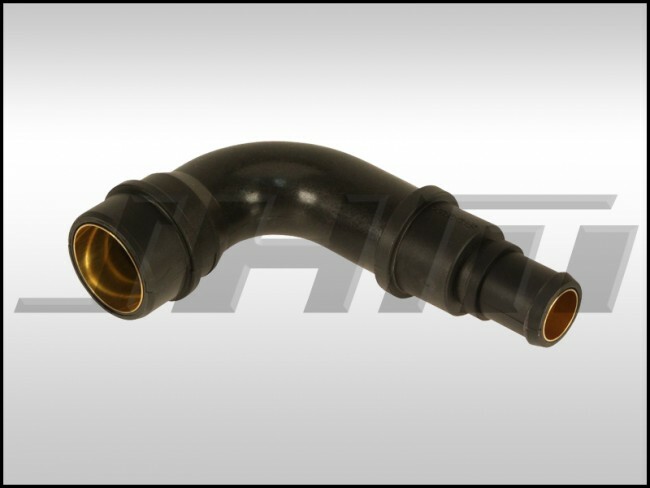 This is a brand new, high quality replacement breather hose for your B6-A4 1.8T. This is the hose that goes from the oil filter adapter to the 't' or 3-way union. This hose often becomes brittle due to heat and age and will crack. The OEM part number for this piece is 06A103213F or 06A 103 213 F.